I think its important to ascertain not only what you prefer but also what your partner prefers (or what your dog prefers - don’t be fooled, we are serious dog lovers here). 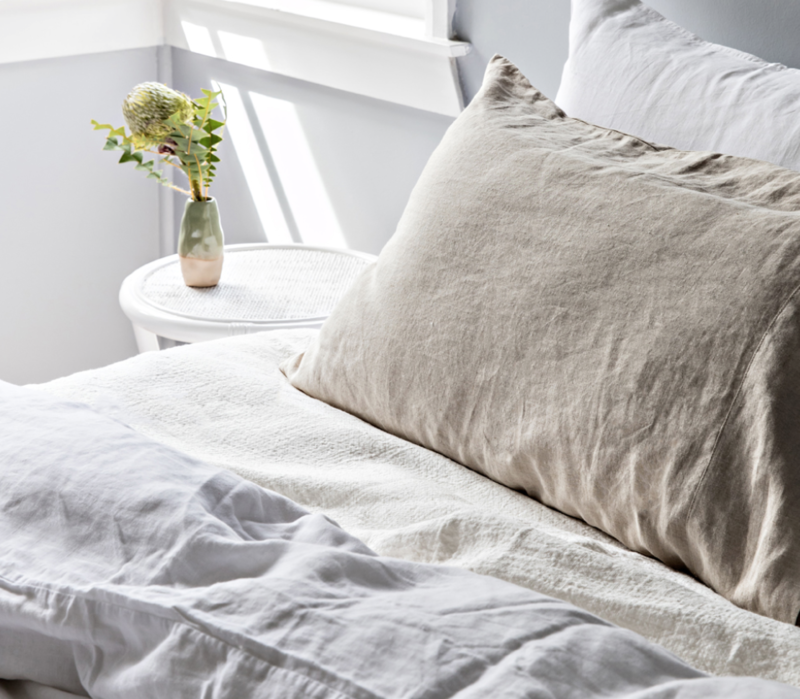 So when purchasing new bed linen, here are our top five questions you need to ask yourself before you buy. 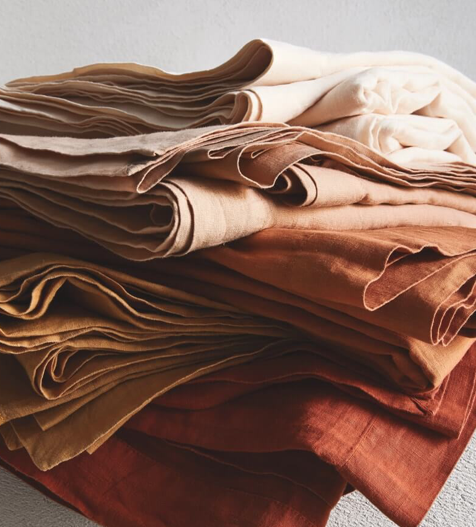 There are many options out there, but the most commonly found materials are cotton, linen, silk, bamboo and flannelette (Winter cosies). My option - this is very personal. I personally switch between a really good quality soft linen and a nice crisp, cotton set in the heat of Summer. Thicknesses / weight will vary from material to material but also within the realm of one material. For exmaple, there are heavier cotton based materials and more lightweight cottons. My tip - don’t be shy, have a feel of the fabric in the shop before purchasing. We’re counting threads here. A higher thread means better quality, but is it worth the price tag? The simple answer is yes, if you want that luxurious feel. But you can also find a middle-ground thread count for a more reasonable price. This can really dictate the overall vibe of your bedroom space. Some love a dark and moody vibe, and some love a light and airy vibe. Think carefully about what you want to feel in the space. Unless you are going to get a new set every season (I’m guilty!) its smart to go with something more neutral (whether it be dark or light), but seasonal tones are also a beautiful way to lift the space. There are two ways of purchasing bed linen. Either as a set or in separates. Some people prefer to go without the flat sheet and just have the fitted sheet and a quilt with quilt cover, so you’ll be better off with separates. On the other hand, some people prefer the whole hog, so you can go with a set. Don’t forget, sometimes the pillowcases can be a separate purchase also (they generally will come in a pair). Always buy bed linen for your bed size, not smaller, not bigger. Some brands give the option to have extra ‘height’ or ‘depth’ which is good for some mattresses that have pillow tops. Tight fitting sheets are a must. When it comes to a quilt (doona/duvet), the general rule is go up one size. It’s nice to have a bit of extra coverage on the bed, to conceal the sheets below and give a cleaner look, but also amazing to sleep with that extra width, especially in Winter! So if you have a queen bed, go up to a king size quilt and quilt cover. Trust me, its worth it. Its always a good idea to have a spare set of bed linen. Really, you should be washing your bed linen once a week. We do more than just snoring and dreaming… we sweat, dribble and shed lovely dead skin cells (yes, unhygienic). Having the second set means you don’t need to worry if you’ve accidentally left the sheets in the washing machine all day while you binge-watched The Real Housewives of New York. So, I’ve convinced you to do some shopping have I? Here are my top five brands. 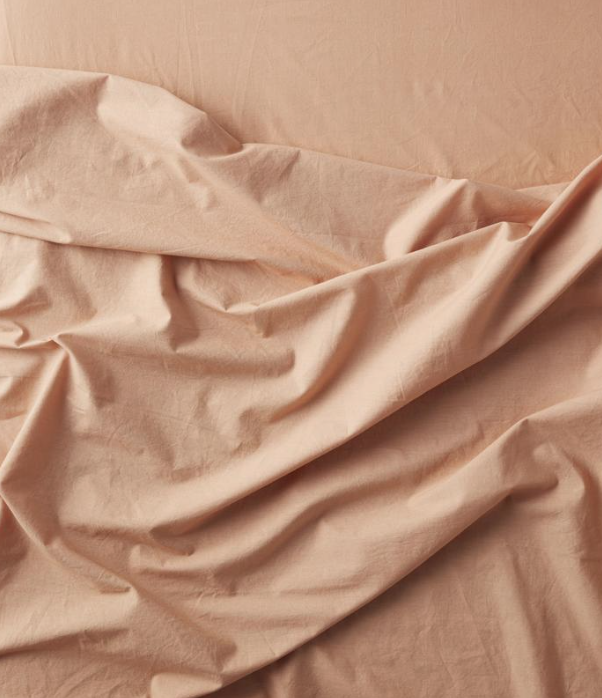 Found some beautiful bed linen? Comment below your favourite brands or tag us on Instagram!